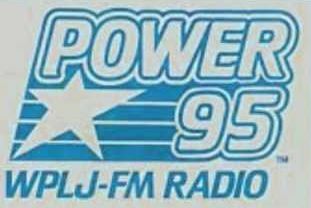 Recorded 30 years ago yesterday, here’s a sample of New York’s WPLJ a couple of years after it entered the CHR format, and within the first year of calling itself “Power 95”. Visit Wikipedia for more information on the history of this station. War: You got the Power! JAM Jingle Singers: FAST JIMMY ROBERTS! Power 95 FM!